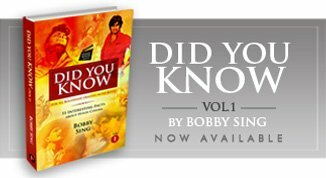 08 Feb, 2018 | Articles on Cinema / Did You Know! A woman never expresses it. She feels the pain, suffers a lot and doesn’t say a word about this natural fact of life to the male members of her family particularly in the rural part of our country, still caught in the web of superstitions, myths and sickening traditional rituals being followed since centuries. Surprisingly and thankfully, a visionary man noticed and understood the silent sufferings of the young and middle aged women in his family and took the initiative of making his own version of much cheaper sanitary pads experimenting with the available resources. It took him years fighting with the mentality and shameful allegations of the society before getting the desired results and then truly stunned them all including the authorities and the industry involved in its huge trade. Affordable or rather free Sanitary Pads are essential for women as their basic necessity of life, but its really sad and strange together, why the issue was never addressed by both the State and Central authorities of various governments in the past (and even the world too). The subject that people didn’t like to get involved in, became talk of the town recently when R. Balki and Akshay Kumar came up with their film PADMAN made on the issue inspired from the achievements of Arunachalam Muruganantham, the man who made it all possible making it a mission of his life. However as being claimed, PADMAN is not the first film made on the subject in the country, since there have been not one but three films made on the same in the past as mentioned below. Introducing Arunachalam Muruganantham as the Menstrual man, this one hour long documentary has a light-hearted feel and some shockingly amazing information about the problems faced by the women of India’s rural regions. The film shows Muruganantham’s journey as a one-man-army researching about everything nobody wishes to talk about and then showcases his own designed device making cost effective, affordable Sanitary Pads for all the unaware women, especially living in the rural India. A school dropout (from Tamil Nadu), mocked by his family members, relatives and neighbours (calling him a pervert), Muruganantham achieved a rare and unbelievable target, people never dared to think about, challenging the multi-million corporate industry selling the high priced pads. And till date he has supplied the machines not only in several states within the country but abroad too getting many well-deserved Awards and world-wide recognition saving many unknown lives. May be, a challenge to the corporate world was the reason why the documentary couldn’t get a release and reportedly was also asked for a change of title which was strongly and rightly denied by the thoughtful director. The film was later made available online at a few reputed portals for a nominal price. Contrary to what is being conveyed by the media related to PADMAN, the first Indian feature film (reaching the viewers) on the issue of menstrual hygiene and affordable sanitary pads in the country was PHULLU directed by Abhishek Saxena, released in the latter half of 2017. Revolving around the women living in the interiors or rural regions forming the major part of our population, the film was also inspired from the life and struggle of Arunachalam Muruganantham,and was a bold, informative account of all ‘the lesser talked about things’ widely ignored as a taboo in both the rural as well as urban parts of our country. However unlike the documentary, PHULLU becomes a tragedy in its second half, with a death happening in the family hinting towards the infections that could have been avoided with the availability of affordable sanitary pads. Playing the lead role of Phullu (an eccentric mad person) it features Sharib Hashmi as a young man who regularly brings sanitary pads and other things for the women in his village, but doesn’t have any information about their actual use being an uneducated, innocent youngster. He later comes to know about it meeting a city doctor and post his marriage facing an unexpected tragedy at home. Following a non-preachy format the film tries to convey the important message mixing humour and tragedy together, also featuring Jyothii Sethi, Nutan Surya and Inaamulhaq in the key roles. As usual, PHULLU got a limited release only in a few major cities and that too in just one show each in a couple or more theaters that also took it off after the first weekend, since nobody went to see it for their own reasons. With a brilliantly conceived title as I-PAD, this is actually the first feature film made on the importance of Sanitary Pads, written and directed by Amit Rai, fighting for its release since last two years. Inspired by the same real life story of A. Muruganantham, the film revolves around its lead character Nataraj, who is a local welder of Bhopal, known for his eccentric and unsuccessful experiments among friends and the locality. An incident forces him to research about the Sanitary Pads that exactly look like made of cotton but are sold at an unaffordable price, even his wife cannot buy being out of their monthly budget. As he gets more involved in his research and attempt of making his own pad, his wife leaves him, the neighbours call him a maniac and only a few friends offer their unconditional help in the long tiring process. Coming from the director of ROAD TO SANGAM - a lesser known masterpiece of Hindi Cinema, I-PAD is a well-made, worth appreciating film and the title itself conveys the depth in the vision behind its making in comparison to a commercial project that calls the inventor as PADMAN on the lines of Superman, Spiderman or else. But convincing you further, would love to narrate the sequence resulting in the title as I-PAD. After decoding the stuff used in the pads as ‘cellulose’ instead of ‘cotton’, the protagonist in the film desperately needs feedback for his product from women who can use it and share the results honestly. For that he goes to a medical college and asks a group of girl students to take his pads free for use and fill in a feedback form after 15 days. Now in the feedback form he needs to give ‘the pads’ a name, a brand. But since he or his friend are not well-versed in English, they decide to call it ‘Mera Pad’, which in their kind of English gets translated as “I-PAD”, hence the title of the film. The project features Sudhir Nema of Bhopal Rang Mandali as Natraj (the I-Pad man) and he has given a fabulous performance personally knowing the city and its local feel. Plus the well-chosen (fresh) supporting cast superbly enhances his act that deserves to be seen as a must reaching the general audience. As per Amit Rai, he was ready with the film produced by Monish Sekhri and Amit Abhyankar since more than two years and it was also there in the NFDC’s Film Bazaar in 2015. However the irony is that it is still lying unreleased for various reasons (including the fresh cast) and Balki/Akshay Kumar’s PADMAN is already there to win over the viewers with its similar and socially relevant subject. Though PADMAN is supposedly based upon the story of Twinkle Khanna’s book “The Legend of Lakshmi Prasad”, it still remains highly inspired from the life and works of Arunachalam Muruganantham, making the unbelievable and immensely valuable social discovery. And I am personally eager to see if the film can deliver something better and more expressive than Rai's outstanding I-PAD. 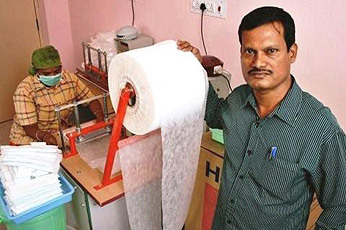 Summing up, all the three films mentioned above have been inspired by the same real life success story of Arunachalam Muruganantham, who made the cheapest sanitary pad machine in India, which can be bought and operated by even a small group of women in the rural regions without spending a lot of money. So where MENSTRUAL MAN is unarguably the first documentary film made on the important subject, I-PAD is the first (unreleased) Hindi feature film talking about the need and role of cheaper sanitary pads in India and PHULLU happens to be the first Hindi film released addressing this critical issue, resulting in PADMAN to be the fourth venture based or inspired from the life and works of A. Muruganantham. Apart from the above four, information about another unreleased film titled MAHWARI (written & directed by Amit Ramesh Rughani) can also be found at both IMDB and its official Facebook page. The film is not related with the discovery of A. Muruganantham, but is reportedly a Hindi feature film revealing the 21 superstitious beliefs an Indian girl has to face in her life (in various religions) during the time of menstruation. Interestingly just like PHULLU and PADMAN the uploaded posters of MAHWARI also use a sanitary pad image in its publicity artworks. But there is neither any detailed information nor any clip uploaded by the makers at their official page. Ending on a different note, its really unfortunate and sad that till a bold social subject is not taken up by a reputed production house, a renowned director or a big star in our country, the system (including the people) never gives it any importance, following an impotent or rotten kind of mindset full of its various traditional fears. And once a star like Akshay Kumar takes up the issue, it suddenly opens up all the jammed doors of their minds and they start behaving as if they had never heard of any film made on the issue before in the past and this is the very first. Anyway, hope with PADMAN the message reaches both the interiors as well as the cities along with the concerned government authorities and they do take up the issue making it a major national movement in the coming months. Plus I hope the celebrities keep talking about heavy taxes imposed upon Sanitary Pads and the need of free distribution in their social networking pictures or posts, even after the film releases and enjoys its expected success. Hope they all do remember the cause and its importance, posting with the same enthusiasm after a month or so.